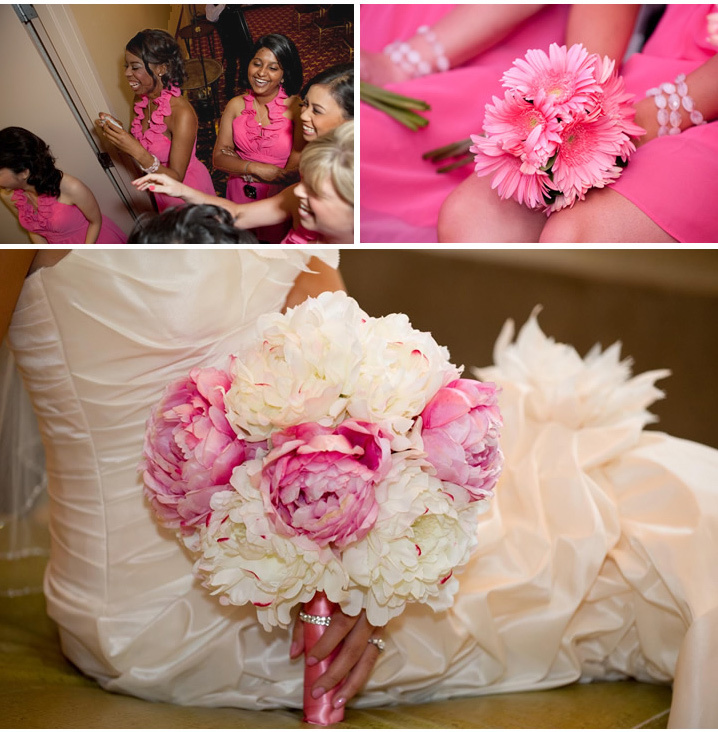 We love weddings filled with a rich tapestry of traditions, cultures, and flowers. So, this post by Wedding Nouveau featuring photos by Patrick Louie Photography and Melissa Diep Photography is one of our all-time favorites. 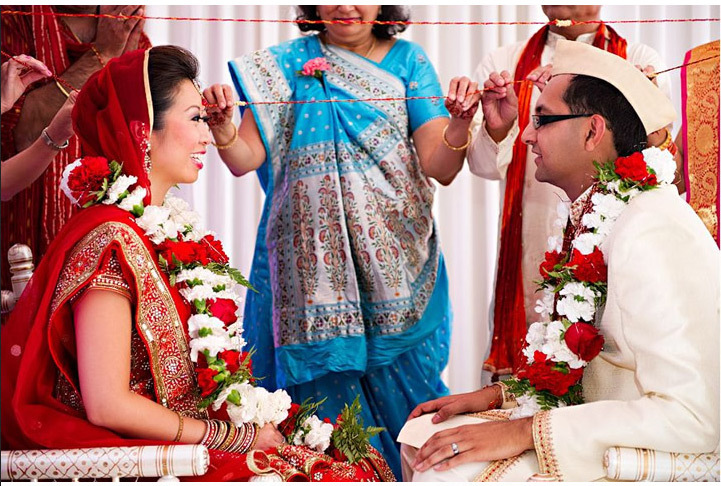 Surrounded by family and friends, Anna and Vivek celebrated their union with Chinese, Hindu, and Western ceremonies, culminating in a playful reception balancing both old and new. 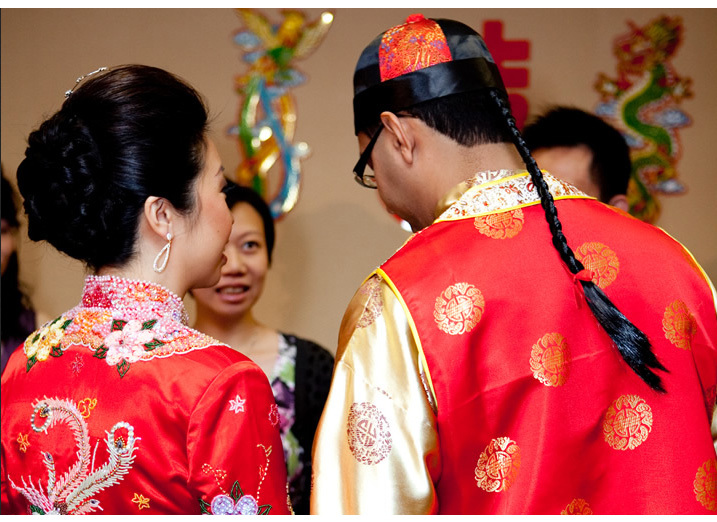 Fashions included a beaded silk Chinese wedding dress, sarees from India, and a glamorous Western gown, too. Flowers for the celebrations included peonies, Gerberas, roses, and cymbidium orchid sprays, all color coordinated with each separate ceremony or gathering. Congratulations to Anna and Vivek for an incredibly beautiful and culturally rich wedding day. 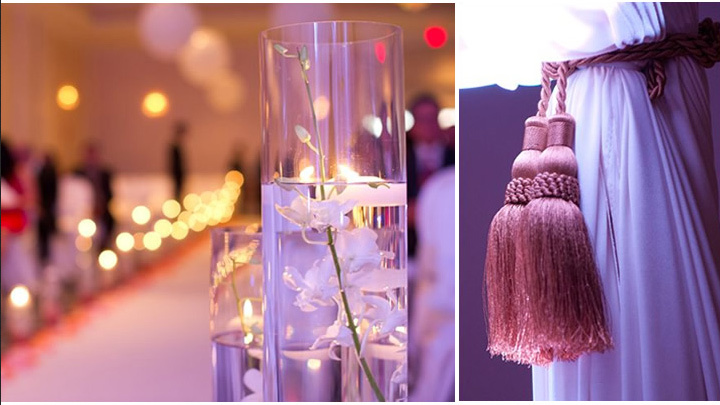 Credits: Ceremonies and reception at Hickory Ridge Marriott and Ashyana Banquets. Cake by Oak Mill Bakery. Flowers and decor by Phillip's Flowers and Prahba Petals. Hair by Mario Tricoci. Gowns by Brides by Demetrios, Liz Fields, and Wedding Things.